The Iiyama G2730HSU-B1 is the bigger, 27-inch sibling of the GB2530HSU-B1 we reviewed which provided decent gaming performance at an affordable price. Both monitors belong to the Black Hawk series which offers a 75Hz refresh rate and FreeSync for gaming on a budget without sacrificing the crucial aspects. Can the Iiyama G2730HSU-B1 post improved scores in image quality against it’s smaller sibling despite being less sharp? The G2730HSU-B1 sports a clean and edgy look that doesn’t overpower your gaming setup. The chassis is finished in matte black without streaky decorations associated with gaming models which we know appeals to a lot of users. The most notable design feature for this model and its siblings in its series is the thinner bezels which give way to every inch of viewing space available. The G2730HSU-B1 is slightly larger, but its proportions do not differ by a huge margin from the 25-inch variant. The monitor only consumes 7.8 inches of depth on any desk, although the screen’s width will be noticeably larger. The device is also lightweight at less than twelve pounds, making it easy to lug around for LAN parties at your friend’s pad. Despite these characteristics, the G2730HSU-B1 feels solid and made of high-quality materials. The seams and edges are clean and the plastics used feel sufficiently thick and durable. Assembly is a breeze out of the box since you don’t need tools, so you can have the monitor up and running after five minutes. Our least favorite feature of the G2730HSU-B1 is it’s tilt only stand which limits your options in setting up the display. The 25-inch version includes a fully adjustable mechanism, so it’s perplexing why Iiyama had to downgrade the bigger variant. At least, you can opt for 100 x 100 VESA mounting in case flexibility is required. The G2730HSU-B1’s connectivity is more generous than similar models, giving you more bang for your buck. The layout includes DisplayPort 1.2, HDMI 1,4 and a VGA connector for video signal inputs. There are also a few USB 2.0 slots for your peripherals and accessories. The product is then rounded up with a pair of built-in speakers which are underpowered for gaming and entertainment purposes. However, we’re glad Iiyama still managed to include a pair in this budget offering while other brands omit it all together. The Iiyama G2730HSU-B1 sports a 27-inch TN panel with a 1920 x 1080 resolution, 75Hz refresh rate, and 1ms response time. A contrast ratio of 1000:1 is specified along with a 300cd/m2 backlight that’s more potent than the unit used on the GB2530HSU-B1. The specs do not suggest professional-grade image quality, but it should make the product perfect for E-Sports titles such as Dota 2 or League of Legends. Out of the box, the Iiyama G2730HSU-B1 is able to produce 96% of the sRGB gamut or around 74% of the Adobe RGB standard. This coverage isn’t particularly impressive, but the score is common for TN-based gaming monitors in the budget bracket. For most users, the difference will be unnoticeable and colors will still be vibrant enough for the monitor’s intended use. Color accuracy, on the other hand, fares better with a DeltaE average of 2.8 which is decent for a budget monitor. Normally, the human eyes can only readily notice inaccuracies beyond DE 3.0. Even if you use the Iiyama G2730HSU-B1, the image will still look good and you have to look really close to see the color errors. We recommend using a colorimeter like the DataColor Spyder Elite if you have access to it to reduce the color DE to around 1.3. colors will look more balanced and lifelike, but the cost of the gadget isn’t worth spending for budget gaming monitors like the Iiyama G2730HSU-B1. The out of the box performance is more than decent for gaming, so only apply colorimeter calibration if you dabble in editing work. One low point of the TN panel in the Iiyama G2730HSU-B1 is its contrast ratio which barely reached 700:1. Gamma is set at 2.2 with a 4% deviance so the image looks balanced, but the low contrast makes the blacks grayish and some colors a bit washed out. We recommend using the monitor’s Black Tuner setting to boost the overall image quality and bring the contrast to around 800:1. What the Iiyama G2730HSU-B1 did best during the test is its panel uniformity which is one of the most pristine we have seen. The variance in luminance with a maximum of 5% is too little to notice, and colors are balanced out through the screen. All of the quadrants did well in the color aspect too, since DE from the D65 standard did not stray beyond 1.1. The Iiyama G2730HSU-B’s main selling point is its gaming chops which aren’t top-end, but suitable enough for slower-paced games like MOBAs and RPGs. The screen’s 75Hz can be enhanced with AMD FreeSync if you have a Radeon GPU. The functional range is only 48Hz to 75Hz, but that range is where it counts the most for 1080p screens. The monitor looks smoother than the usual during test games using DOTA 2, although the gap from 60Hz is most noticeable on a 144Hz monitor. We didn’t notice any delays or massive input lag from the Iiyama G2730HSU-B since it posted an average of only 15ms which is reasonable for a budget gaming display. 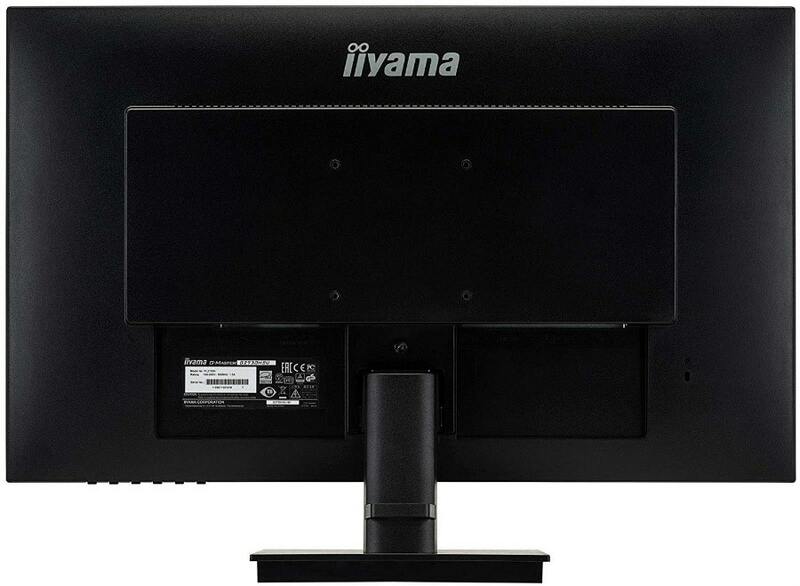 The Iiyama G2730HSU-B offers reasonable specifications if you consider it’s low price tag. The out of the box performance is good enough for plug and play use, but a few tweaks can improve the image quality further. Applying the product’s Black Tuner setting will drastically improve how games look, so most users won’t need to spend on a colorimeter to get the best results. 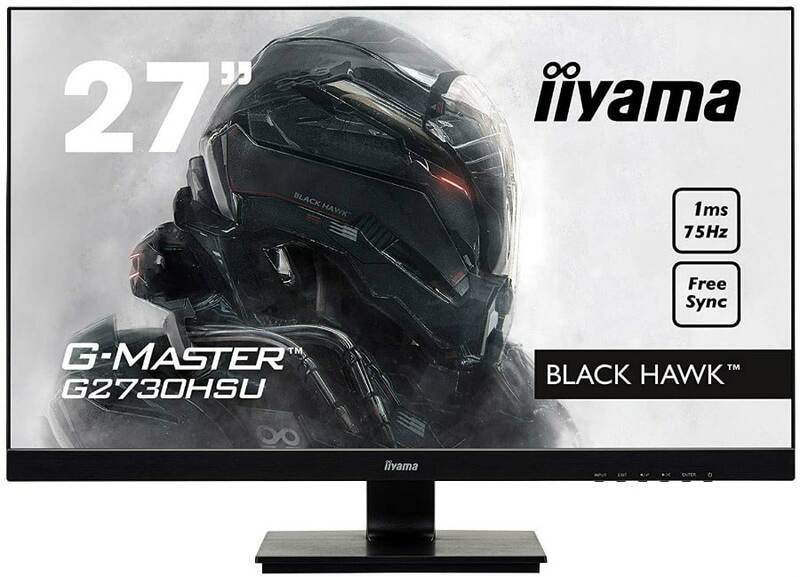 The Iiyama G2730HSU-B can be considered if you are looking for an affordable monitor for your budget E-Sports build. The specs and performance are not fancy, but you do get the essentials such as low input lag and FreeSync with the model.